The family isn’t rich enough to buy two shields, and like many who raise two children so close together their weapons of age are hand-me-downs. Teegan’s already started practicing with Pa’s hammer. It is light and natural to her hand. She would also take Dad’s halberd. Rohan hasn’t practiced. His friend Spence helped him create a pike. It was cheap and simple. Spence found a bit of iron to shod the staff. Hopefully the pike keeps the boy ten feet further from trouble. Little Alleway is out front of the goats. The yippy terrier is horrible herder, but Rohan loves him. Everyone in the family has a terrier, except Teegan. Everyone loves them, except Teegan. Last year, when she reached bond-age, grandpa was dying. Teegan provided his care for most of the season. She’d bring him tea and listen to the stories about when Korlot mustered out in the most recent attempt to take back Kirtin-on-the-Lake. He’d speak of loyalty and might, of failure and friendship, and of disappointment that the north could not defend themselves from Azsel and Kirtin needed help from the thieves of Daoud. 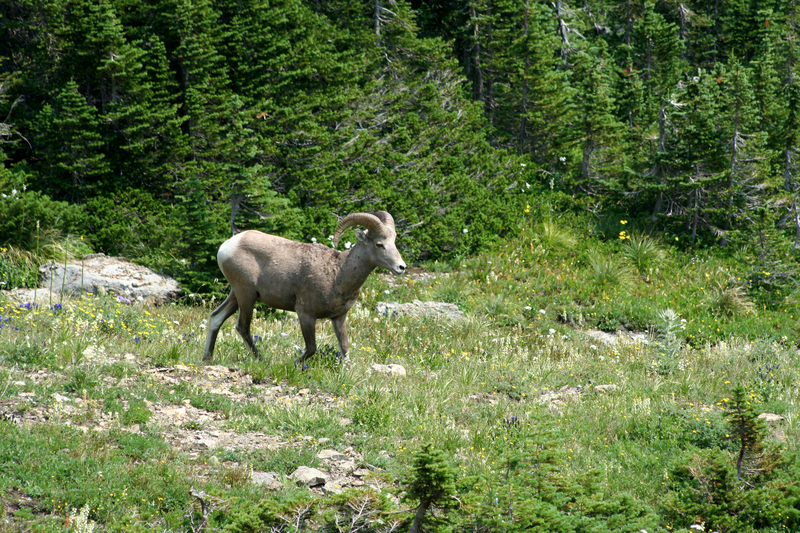 As she listened Ha-Lim, the immense bighorn ram, would be at Pa’s feet. As Pa weakened Ha-Lim crept closer. During this time her friends were bonding with various dogs, ponies and cats. She did not go on a bonding journey. Pa had a few months and so many stories. So she listened. She learned. She brought Pa tea, goat cheese and bread. She started to bring Ha-Lim clover and grass. When she cleaned the room, she cleaned for the ram too. When she walked to the well for water, Ha-Lim followed. The rare times that she left the house to bring the goats in, Ha-Lim followed. When they buried Pa the ram was there, as usually happens when the person passes before the animal in a bond. He laid next the burial plot for a while and then trotted over to Teegan. Teegan never went on a bonding journey, never had a bonding ceremony. It didn’t matter. Ha-Lim is now her bonded partner in life. It’s a lot better than those damn yippy dogs. He’s horrible at helping herd the goats, eats the vegetables and grains when working the crops and the horns get in the way of cuddling. None of those things matter. Ha-Lim is quiet and elegant. Every breath reminds Teegan of Pa. And all those memories of Pa are also memories of Ha-Lim. Plus, when Rohan and his friends get too foolish threatening to have the ram bowl through their group tends to get them to change their focus. Tomorrow the four of them will be off to Kirtin-in-the-Sky. They will serve their not-Winter with the Shield of Kirtin. After a week or so of training they’ll head to the northern hills to show force against the slavers of Azsel. Rohan is going to be trouble with a ten-foot pole, keeping that kid under control is hard enough. Giving him distractions like weapons and new friends will be a disaster, and a requirement of the law. “Alle, get here!” and he throws one final stone. ‘Throws one final stone’ could be Rohan’s middle name. That evening the town would hold Teegan and Rohan’s Service Feast. That celebration of their final step into adulthood ends their time as youth. The moment they take to the trails and roads to Kirtin-in-the-Sky they are adults. They will serve the Kingdom and starting with next Winter they will be ready whenever Kirtin needs them. Many meet their husband/wife during Summer Service. Teegan just wants Rohan to come home alive. That’s probably going to be harder than meeting someone, even if Azsel doesn’t make a slave raid. Rohan can’t stop talking about Azsel-ite cavalry and their goliath slaves. He’s excited at the chance of battle and his bond is a tiny, yippy terrier. This is a horrible combination.